A great smile not only affects your health, but it can also boost your self-confidence. If you are looking to achieve that beautiful smile you deserve then Arlington Family Dentistry is the place for you! Dr. La and his staff will work tirelessly to provide you with your dream smile. There are a variety of cosmetic and restoration techniques available to help you complete your smile makeover. Very soon you will be proudly showing off your teeth and smile to family, friends, and new people you meet! 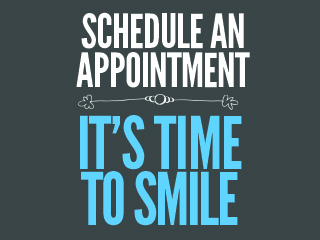 Schedule a consultation today and let us give you something to smile about. Teeth Whitening – The enamel and dentin of your teeth become darkened and stained from food, drinks, aging, and lifestyle. Using our bleaching products and laser-activated whitening gels, your teeth can become several shades whiter in a very short period of time! Years are removed in mere hours. Invisalign ®- An excellent alternative to braces to help you straighten your teeth, Invisalign uses a series of clear, plastic retainers instead of the traditional metal wire and brackets. Because they are removable it does not restrict what you eat. They are invisible and comfortable, allowing simple tasks such as brushing and flossing to remain simple. Veneers – Porcelain Veneers are a good option to conceal flaws such as stains, gaps, or chips. They allow you to preserve your natural tooth structure and give you natural-looking results which resist staining. Bonding – Involves the use of composite, enamel-like material sculpted to an ideal shape then hardened to help fill gaps, treat chips, cracks, and teeth that are slightly decayed. It can be used to change the entire color or shape of a tooth, all in a single office visit. Dental Countouring – Dental countouring, or tooth reshaping, can help correct crooked, chipped, cracked or even overlapped teeth in a quick, subtle manner using reduction and tooth-colored laminate. It is often used to alter the length, shape, or position of teeth. **It is recommended that cosmetic procedures be completed following a dental cleaning and examination.